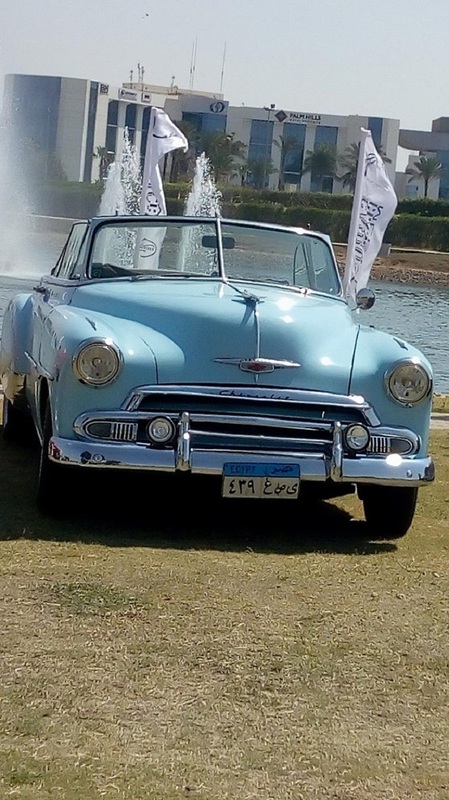 "Her name is Sarah," explained Magi El-Khodary, in reference to her family's 1949 Buick Roadmaster. 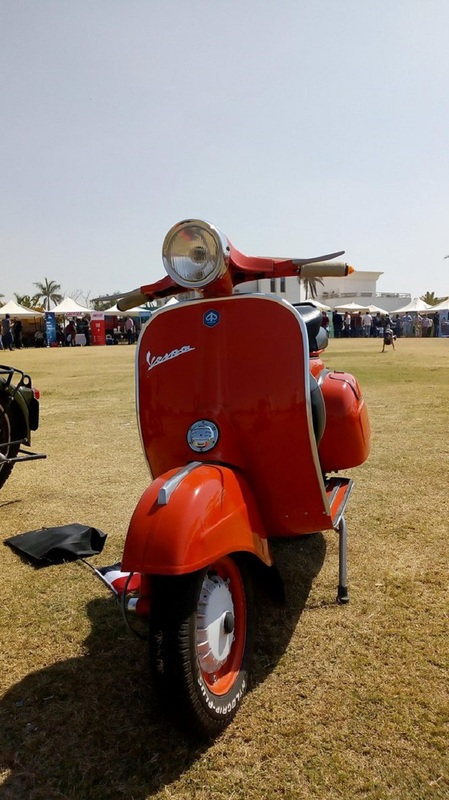 The burgundy-coloured beauty was bought by Sobhi El-Khodary in 2004. "It took me two years to revive her to her original state," El-Khodary explained as he showed off the classic. Together with their grandchildren, Sobhi and Magi proudly exhibit the "family member." 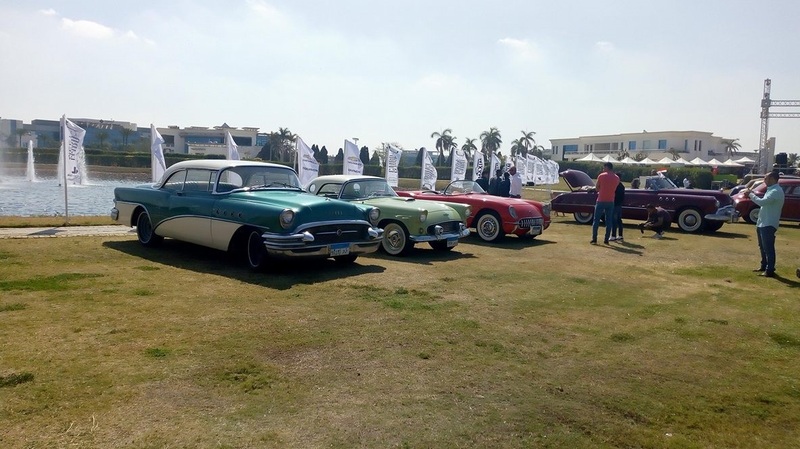 Yesterday marked the sixth annual event of Vintage Wheels in Cairo. 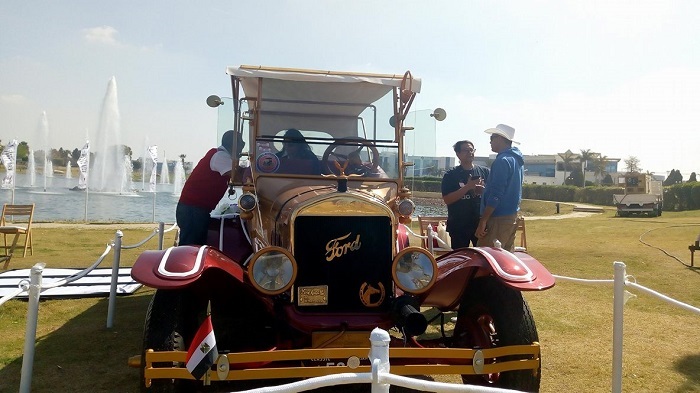 The one-day event hosted some 200 vehicles and motorbikes that ranged from early 1924 to 1988, all on display at Smart Village. 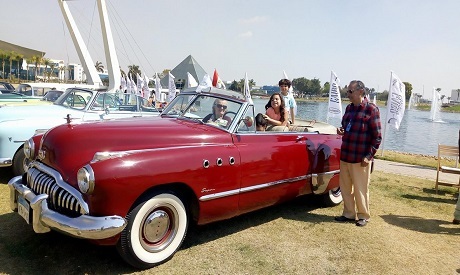 "Over there is Abdel Halim Hafiz's car," explained Mahmoud Ezzeldin, founder of Vintage Wheels, to Ahram Online, adding that exhibitions of classic cars happened before, but only through Vintage Wheels has it become an annual event. 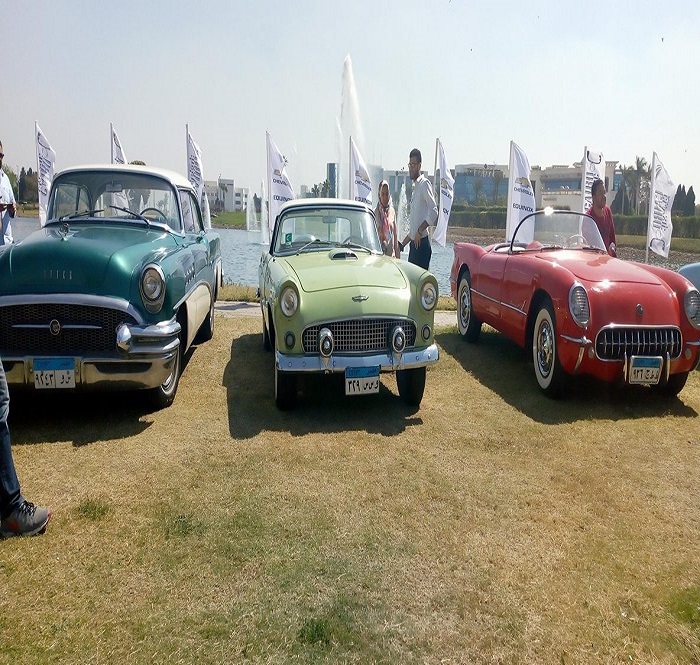 "There was a parade of classic cars in the 1980s, and between 2004-2009 we managed through Auto Club to create several events," Ezzeldin added. Touring the exhibition site brings back lots of memories, as if we've turned back the wheels of time. Famous cars often shown in black and white movies now vividly display their colours. 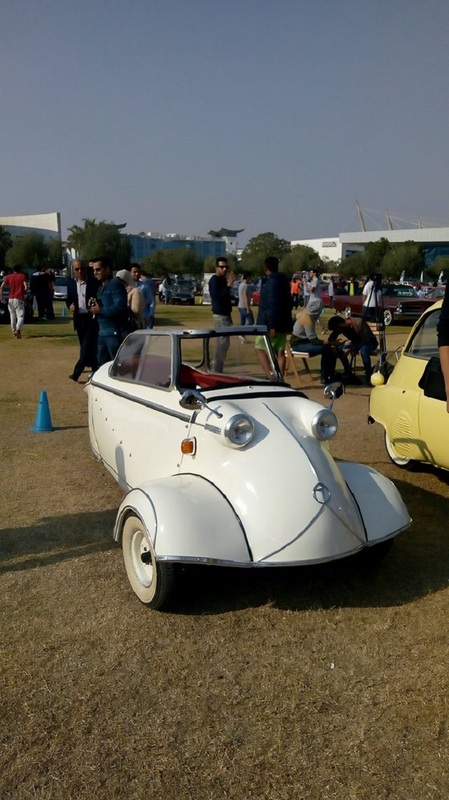 The small white car, more tuk tuk shaped, that was shown in Youm Men Omri movie, starring Abdel Halim Hafez and Abdul Salam Al-Nabolsi in 1961. 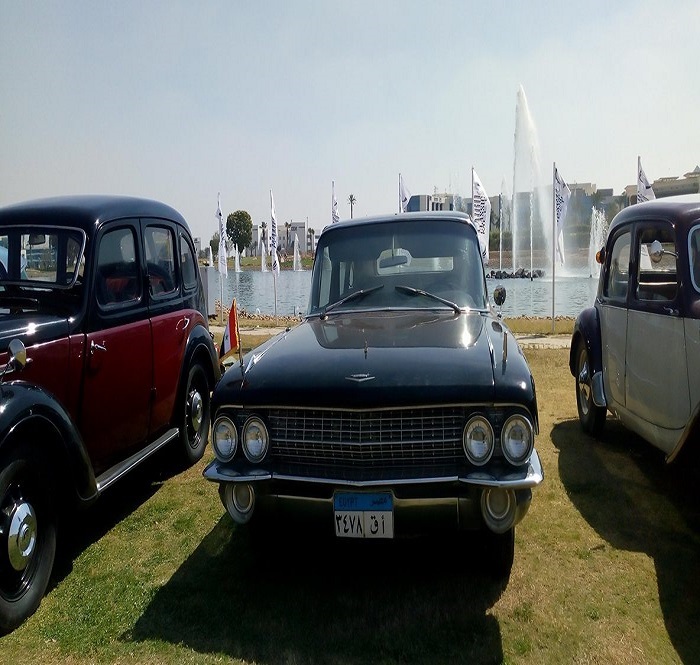 Another is a presidential vehicle with the flag of the United Arab Republic (when Egypt and Syria were united during the reign of Nasser) on it. 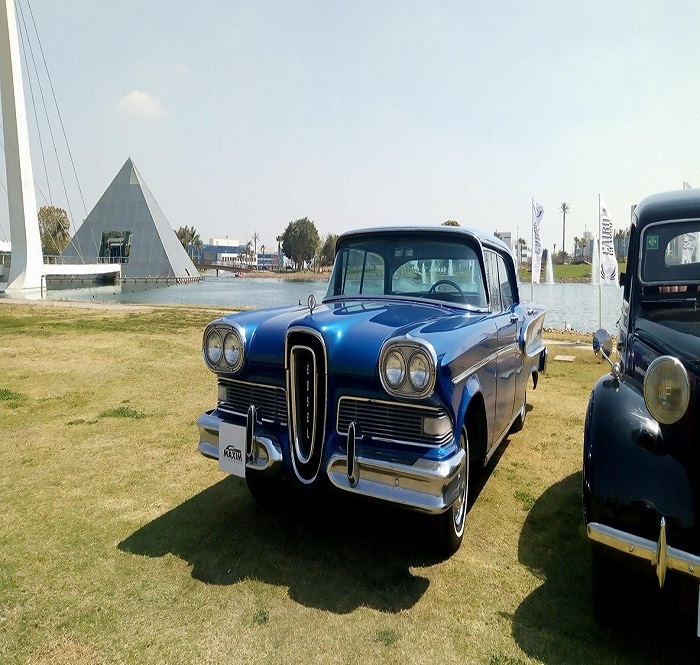 Side by side is a brilliant blue Ford Edsel, rare because the production line shut down in the early 1960s. And next to them is a very cute pistachio-coloured small Cadillac that belonged to Iconic singer Abdel Halim Hafez. 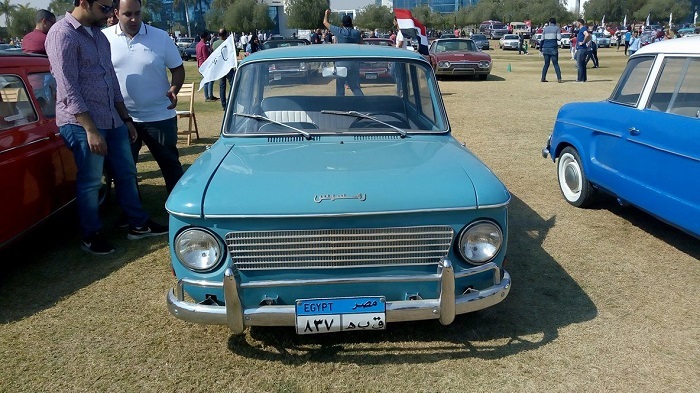 Then there is the iconic benchmark in Egypt's industrial history, Ramsis, the first car that was made in Egypt in 1960. The secret behind the beauty of such cars is not only that they bring the eras they were invented in to life, but also their design. 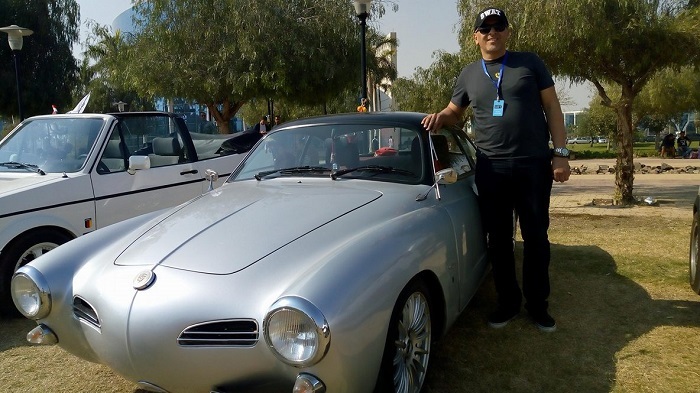 "Old things live long," explained Khaled Abdel Wahab as he showed off his grandmother's 1957 Porsche. "My grandma used to go to college with this car," he smiles. 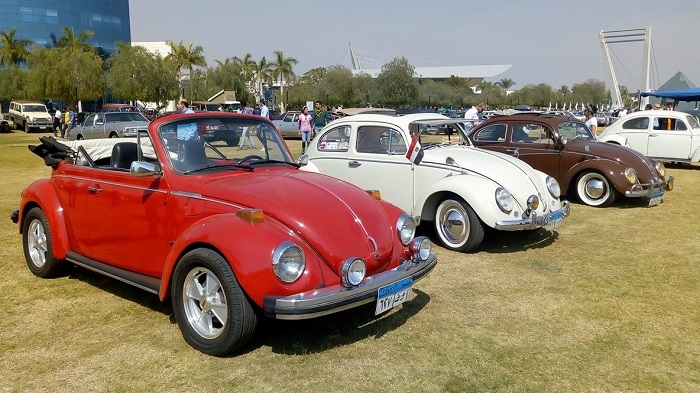 "Old cars were designed to live longer, hence once maintained properly they run. In the 1960s they had air-conditioning as an option and the compressors of the ac were as big and as powerful as a refrigerator, " he adds. Asked about safety issues, he explained that they are quite as safe as new cars. "On old cars, the metal body was designed to be so thick, and with so many curves, that if any accidents happened, the car takes all the damage. Nowadays they make cars lighter, and air bags take the impact." "I travel with this car," Abdel Wahab said.